In a major setback to the bar owners in Kerala, the Supreme Court has upheld the controversial Abkari policy for the year 2014-2015 framed by the Kerala Government restricting the issuance of bar licenses (FL-3) to five-star hotels in the State to serve alcohol to the public, and not to renew the existing bar licences issued to any of the other hotels. Additionally, the Government had decided to close down 10% of outlets out of 338 FL-1 outlets of Kerala State Beverages Corporation and 46 outlets of Consumer Fed each year from 2nd October, 2014 onwards. The Abkari policy so formulated by the Kerala Government as well as the amendments to the Foreign Liquor Rules was assailed before a Single Judge of the Kerala High Court by the writ petitioners, which included hotels classified as Two Star, Three Star, Four Star and Heritage hotels. While dismissing the writ petitions, the Single Judge vide judgment dated 30.10.2014 carved out an exception vis-a-vis the eligibility of Four Star and Heritage category hotels to the grant of FL-3 licence, finding their exclusion to be arbitrary and violative of Article 14 of the Constitution. The Single Judge thereby allowed the writ petitions of the Four Star and Heritage category hotels, but dismissed the writ petitions of Two Star, and Three Star and unclassified hotels. The Single Judge discussed the position of Two Star and Three Star hotels separately from Four Star and Heritage hotels, and regarding the former, it was held that their contention that the classification is discriminatory is no longer res integra in view of the dictum of the Apex Court in B.Six Hotels and Surendra Das. So far as the Four Star hotels were concerned, the Single Judge noted that there are only 20 Five Star hotels in Kerala and only 33 hotels in the Four Star and Heritage categories. It was held that none of the material before the State Government proposed the exclusion of Four Star and Heritage hotels from the criterion of eligibility for bar licenses. The Single Judge held that while there is a presumption that the Government has full knowledge of the social aspects of the proposed controls, in the absence of any material on the record, this presumption cannot be pushed to the extent of presuming that the State could have possessed some undisclosed and unknown reason or material to justify its action. The One Man Commission and the Tax Secretary recommended the grant of licenses to hotels with sufficient facilities. The Single Judge noted that Three Star, Four Star and Five Star hotels constituted a distinct class and further that the Government did not even state the reasons for rejecting the recommendations in the Reports before it. The Single Judge accordingly held that the policy was violative of Article 14 and it was struck down inasmuch as it excluded Four Star and Heritage category hotels from being granted FL-3 licenses. Aggrieved by the verdict of the single judge to the limited extent that it found exclusion of four star and heritage hotels from grant of FL-3 licenses to be unconstitutional, the Kerala Government preferred an intra-court appeal to the Division Bench of the Kerala High Court. The writ petitioners which included two star, three star and unclassified hotels who did not get the relief they had sought from the single judge also carried the matter in appeal to the Division Bench. By judgment dated 31.03.2015, the Division Bench reversed the conclusion of the learned Single Judge finding the exclusion of Four Star and Heritage category hotels from the grant of FL-3 licence to be arbitrary, and upheld the abkari policy in toto as framed by the Government. Consequently only Five Star hotels in the State of Kerala are presently permitted to serve alcohol in their bars i.e. in public. The Division Bench opined that though the Government was bound to consider the recommendations of the One Man Commission, it was not bound to accept the Report in its entirety. The Report was simply a piece of evidence which the Government would have to take note of. It was for the State to evolve a policy taking into account the welfare of the people, and the Courts have a very narrow and limited scope to intervene in such policy decisions. It is also not for the Courts to find whether a more feasible view is possible or whether a better policy could be evolved, which intrinsically remains a subjective exercise. The Division Bench also noted that the impugned policy is in consonance with Article 47 of the Constitution which provides that the State shall regard the raising of nutrition and the standard of living of its people and the improvement of public health as among its primary duties, in particular endeavoring to bring about prohibition. The appeals filed by the Two Star, Three Star and unclassified hotels were accordingly dismissed, and the appeals filed by the State were allowed. It was against the judgment of the Division Bench that the appellants had preferred an appeal to the Supreme Court. The appellants contended before the Apex Court that that there is no intelligible differentia in the creation of classes, on their predication that Four Star and Five Star hotels form one homogenous class. It was submitted that no empirical evidence has been adduced by the State to show that the degree of harm caused by Four Star and Heritage hotels is different from that of a Five Star, thereby justifying the disparate and differential treatment between them. It was also argued that since the object of the policy pertains to the situs of drinking, the State can distinguish between public and private places, but not between public places, and in making an exception for only Five Star hotels, the Government is engaging in sub-sub-classification, which amounts to hostile discrimination. The appellants next contended that the subject categorization has no reasonable nexus with the object sought to be achieved. Since the purpose is to achieve prohibition albeit in a staggered and piecemeal process, this cannot be achieved while there are no limits on the number of FL-1 shops or the number of Five Star Hotels. The intention of the Government is facially financially driven, as while it is denying FL-3 licenses to hotels with Four Star and below classifications, it is improving the infrastructure in FL-1 shops, all of which are State owned. It was further contended that the policy suffers from the vice of arbitrariness, which is antithetical to equality. The One Man Commission Report and the Tax Secretary’s Report have not been taken into consideration, as is evident from the fact that the suggestions therein have not been incorporated and no explanation has been given for this. Mere lip service was paid to the One Man Commission Report. The State contended that the policy is not arbitrary. The reason for refusing to grant FL-3 licenses to Four Star hotels is the fear that all the Three Star establishments in the State will try to get upgraded to Four Stars. Furthermore, all relevant documents were taken into consideration. There was no obligation on the State to accept the submissions of the One Man Commission or the Tax Secretary. It simply had to take their reports into consideration, which it did. It was also contended that the policy did have a reasonable nexus with the object sought to be achieved, as the object of the policy, as enshrined in Section 15C, was to reduce the public consumption of liquor. An exception was made in the interest of tourism under Rule 13(3) in favour of Five Star hotels. By making liquor less easily and readily available for consumption in public, and by making it prohibitively expensive, this object would no doubt be achieved. Additionally, the sections of society who were particularly at risk, such as the youth, would practically be compelled to abstain from public consumption of alcohol. The Supreme Court observed in a lucidly written judgment that history has painstakingly made it abundantly clear that prohibition has not succeeded, and therefore strict state regulation is imperative. 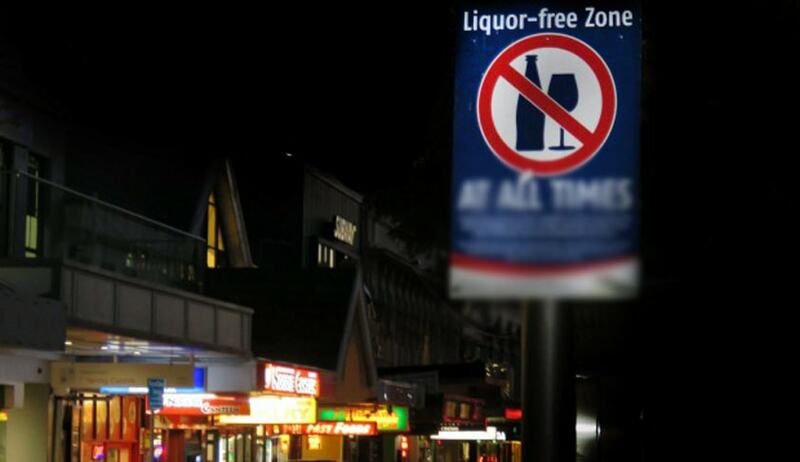 The Court said referring to Article 47 of the Constitution that it places a responsibility on every State Government to at least contain if not curtail consumption of alcohol and the impugned Policy, therefore, is to be encouraged and is certainly not to be struck down or discouraged by the Courts. “ How this policy is to be implemented, modified, adapted or restructured is the province of the State Government and not of the Judiciary,” observed the Bench. The Court further stamped its approval on the Abkari policy of the Kerala Government sating it could not “detect any arbitrariness or capriciousness either in the classification, nay the unique treatment given by the State to hotels possessing Five Star rating.” It said the policy cannot be written off as arbitrary or procedurally unsound. The Court noted that the business in potable liquor is in the nature of res extra commercium and would therefore be subject to more stringent restrictions than any other trade or business. The Bench further opined that judicial review is justified only if the policy is arbitrary, unfair or violative of fundamental rights and Courts must be loathe to venture into an evaluation of State policy. The Apex Court was of the view that the abkari policy of the state must be given a reasonable time to pan out. With the said observations, the Apex Court dismissed the appeals. The judgment of the Apex Court was rendered by a bench comprising of Justice Vikramajit Sen and Justice Shiva Kirti Singh in a sitting specially convened for the purpose today. The bench had reserved the judgment on August 27 and was expected to be pronounced before the apex court closed for vacation on December 16. The judgment could not however be delivered due to the non-availability of Justice Shiv Kirti Singh, who was on leave. There were apprehensions raised in some quarters as to whether the judgment would be delivered at all as Justice Vikramajit Sen was due to retire on December 30, but he scotched all such fears by making it abundantly clear that the judgment would be delivered before his retirement.